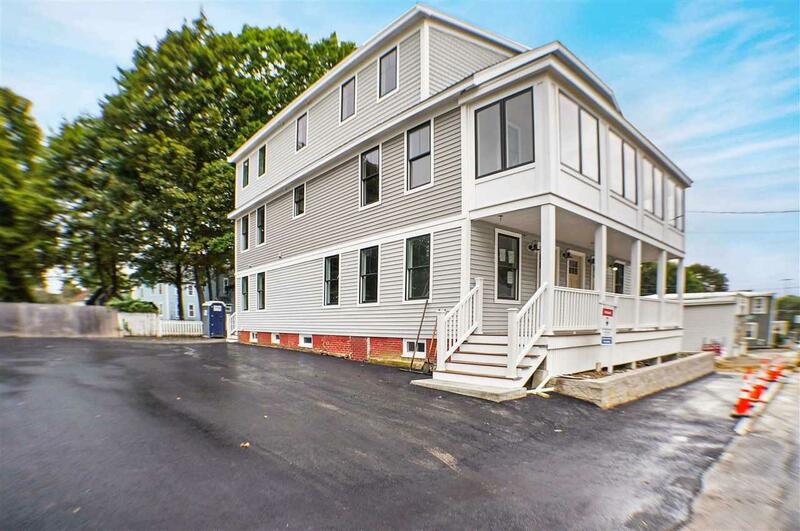 Completely renovated 2-bedroom townhouse style condo just 1 mile from downtown Portsmouth! This home offers a stunning open kitchen with large breakfast bar, recessed lighting, and stainless-steel appliances which includes a 5-burner gas range with microwave over, refrigerator with French doors and a dishwasher. The kitchen opens to a large dining area and a beautiful sunroom/porch surrounded by large windows. There is also a gorgeous living room with gas fireplace with sliders to a large maintenance-free deck. On the 2nd level, the master bedroom has its own full bath with glass enclosed shower with tile surround and a huge walk-in closet. An additional bedroom and full bath are also on the 2nd level. A large storage area in the basement, efficient ductless heating and cooling, 2 off-street parking spots, and convenient 2nd level laundry make this home a must see! Make an appointment today! Condo fees are estimates.